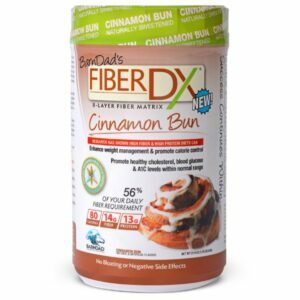 We are not claiming BarnDad’s FiberDX® is a “cure-all,” BUT if you want to lose weight without sacrificing all the foods you love and are looking for a simpler and more effective way to lose weight, maintain lean muscle and help to control your blood sugar, then BarnDad’s FiberDX® fiber shake is just what you’ve been looking for! And it works for everyone to some degree! 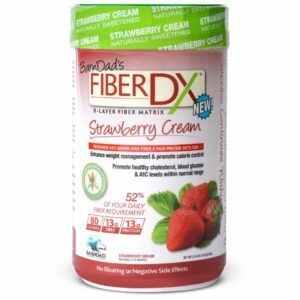 BarnDad’s FiberDX® also supports heart health. It’s long been clinically proven that a diet high in fiber helps reduce cholesterol and triglycerides, which has a positive impact on the body’s mechanisms for regulating healthy cholesterol production. More recently, fiber has been shown to be inversely related to nonfatal myocardial infarction and coronary heart disease death and a reduced the risk of colon cancer. 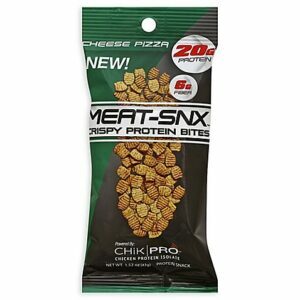 Experts recommend a healthy diet include a minimum of 25 and up to 50 grams of fiber per day. 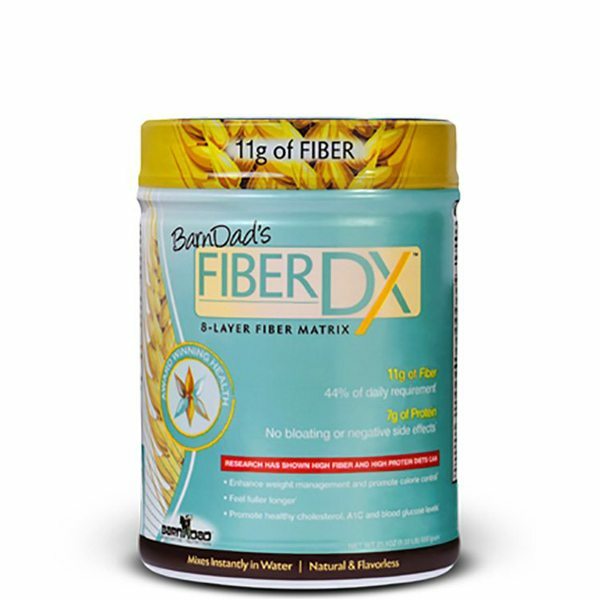 One serving of BarnDad’s FiberDX® provides 11 grams of Fiber, a full 44% of your daily fiber requirement. 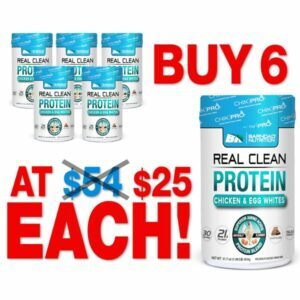 The unique formula helps you feel pleasantly full before you’ve had a chance to eat too much and keeps you from getting hungry between meals. 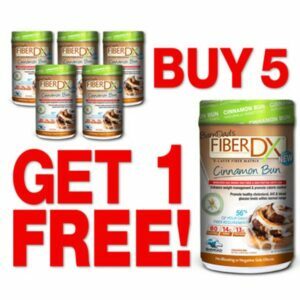 Simply take BarnDad’s FiberDX® 15 minutes before your regular meals, with water or a healthy beverage of your choice, and begin to look and feel better, while you continue to enjoy your favorite foods! 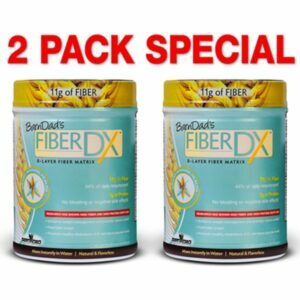 BarnDad’s FiberDX® is the Ultimate fiber supplement for optimum health, peak performance and vitality at any age. Read more about how BarnDad’s FiberDX® can help you look and feel the way you’ve always wanted. 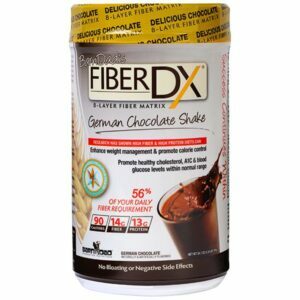 To use as a Shake: Add 1 scoop (20g) of BarnDad’s FiberDX® to 8-12 ounces of liquid (water, juice, protein shake or favorite non-carbonated beverage) 15 minutes prior to 1 or 2 meals daily. To use in Baking: Add 1 scoop (20g) or more of BarnDad’s FiberDX® (depending on the recipe / personal choice of flavor) to any recipe that includes flour. 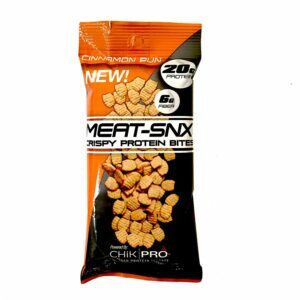 Can also be added to hot soups, stews, sauces, oatmeal and spices for everyday cooking. Be sure to check out all of BarnDad’s recipes that include BarnDad’s FiberDX and other BarnDad products.